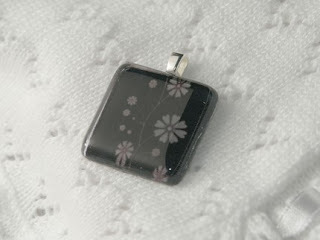 Monets Precious Things is an Etsy shop featuring unique pendants designed by Heather. Getting inspiration from her precious daughter Monet, Heather began Monets Precious Things as a way to supplement her income while being a stay at home mom. I can't think of a better reason to start a shop than to have extra time to spend with a little one! 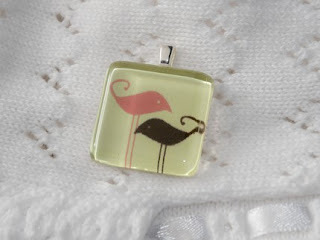 How perfect would that pendant be to add to your spring outfits! 1. Go to Monets Precious Things on Etsy. Come back here and comment on your favorite item! I know it is going to be hard to choose only one favorite but those are the rules! 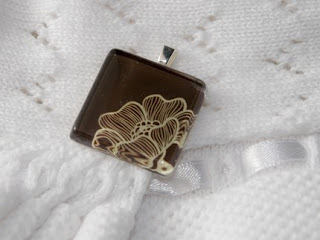 Well, I am sure we can bend the rules enough for you to brag on as many of Heather's pendants as you would like! 2. Be or become a follower of Joy De Vivre. Entries will be accepted until midnight on Saturday. Check back Sunday to see if you are the lucky winner! The Green Tea Blossoms is so pretty, thanks for the giveaway! You are right... it was really hard to choose just one! I chose Teal Spring Branch. So sweet! There are so many cute ones but I love the Caesars Palm Branch. These are so pretty and I think I like Tree Blossoms best. Teal spring branch fo sho! Those pendants are really cute! 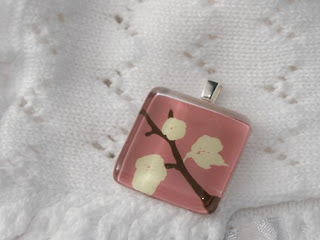 I like the Green Tree blossoms pendant!